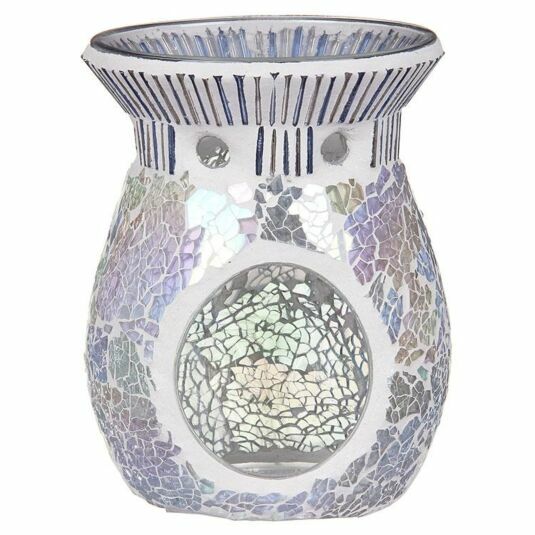 The Glistening Glass Melt Burner is made from shimmering glass and ceramic tiling, the melt burner adds a welcoming touch to any room. 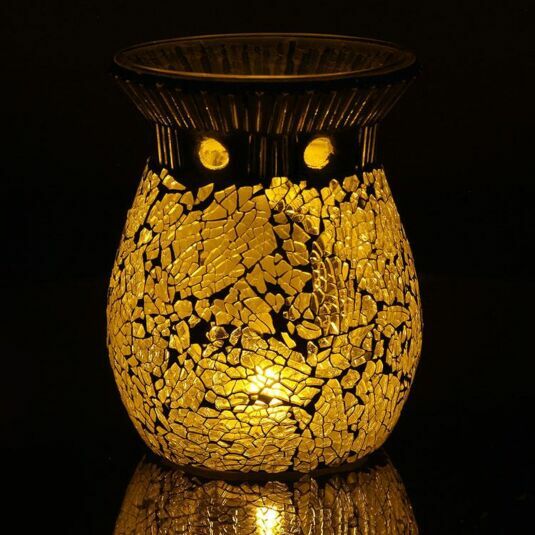 Simply place a WoodWick wax melt on top of the Melt Burner melting dish, position a tea-light candle into the base and you will soon be greeted with a sweet scented fragrance. 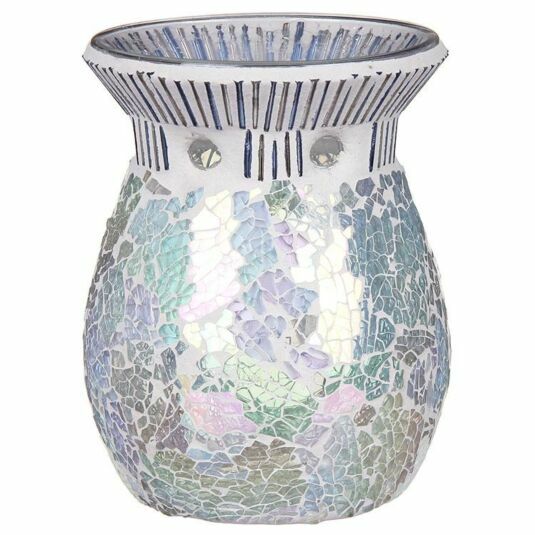 With a glistening mosaic design, the melt burner is a great way to add a tranquil atmosphere to any room.